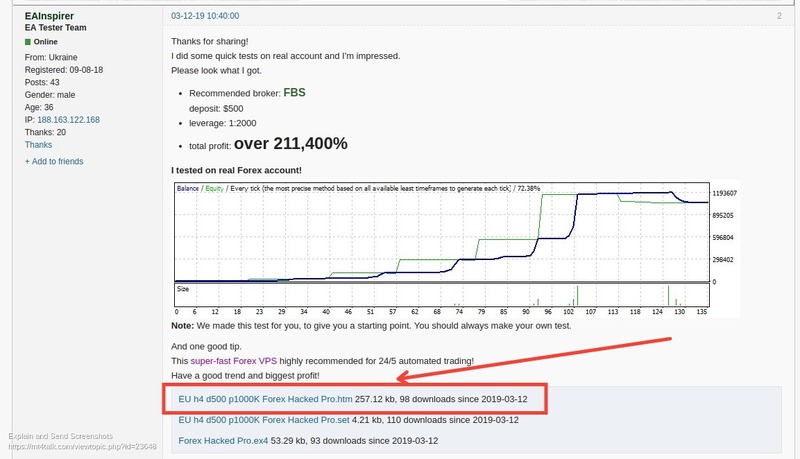 ► MT4talk.com → ► FREE FOREX ROBOTS → Super Hacked Pro EA - Updated over 211,400% profit! Topic: Super Hacked Pro EA - Updated over 211,400% profit! Re: Super Hacked Pro EA - Updated over 211,400% profit! I did some quick tests on real account and I'm impressed. Mas nao esta especificado em que periodo de tempo o EA fez este montante... Um mes? Um ano? There is an attached file with the test. The test has all the info. Hi, I'm still a newbie in EAs, I set all data just like they were supposed to be, I still wonder why my result is that bad.